Food, Family, Fun. 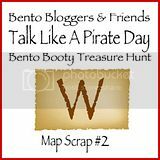 : Talk Like A Pirate Day! The map is cool! I have lunchbox envy! Oh my goodness! I can't decide which one I love best! They're ALL wonderful! cute! your map is awesome! Love the ship and the map! Love the maps and cannonballs, so cute and clever! I love the book tie-in! Arr! Love the map.. ooh, cannonballs.. what fun! Everything is so cute! Love all your lunches! So cute! Very creative lunch! Great job! My favorite is the princess lunch! I'm officially in love with the princess :) Have to make one tonight for my little girl. Ye lunches look great! Love the pirate ship! I need to check out that book - sounds like a good one! Your map is really cute! What great lunches! I love your book tie in. Please share it on Read.Explore. Learn. Lotsa deliciousness in yarr lunches! Yummy, nice ship and map! The cannonball melons are great! So lovely, love the pirate ship! !